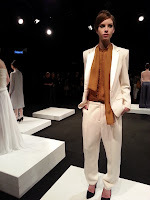 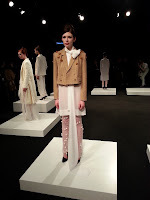 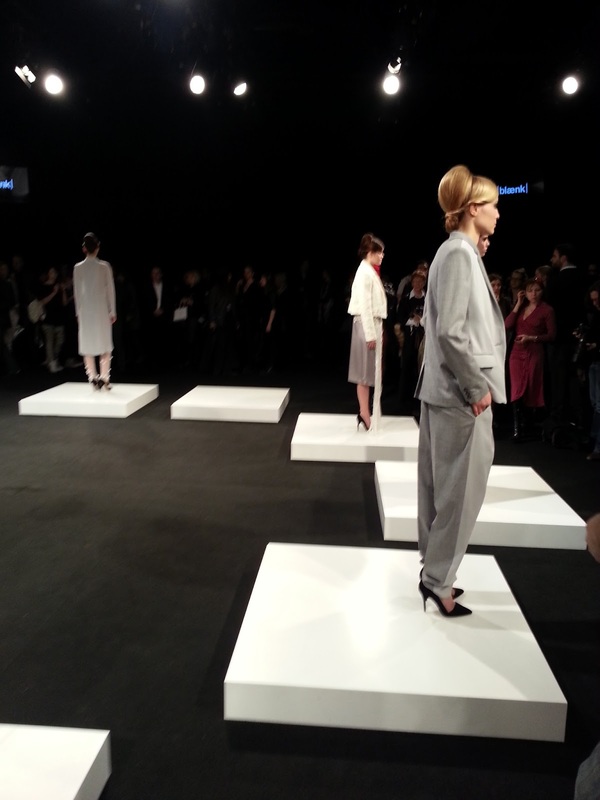 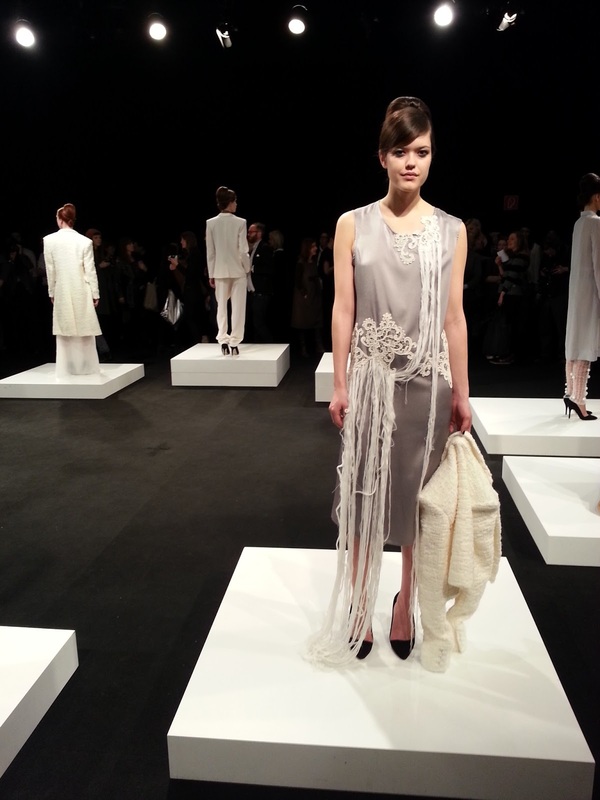 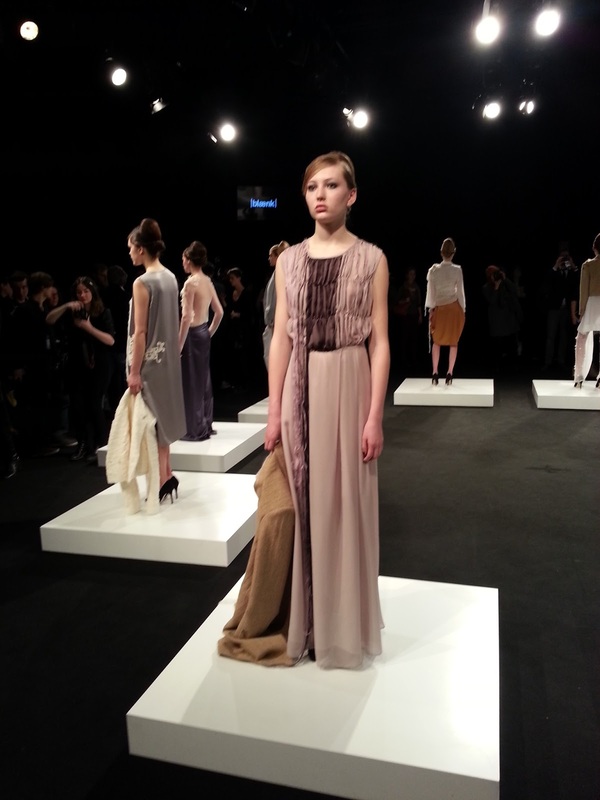 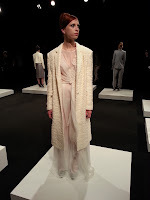 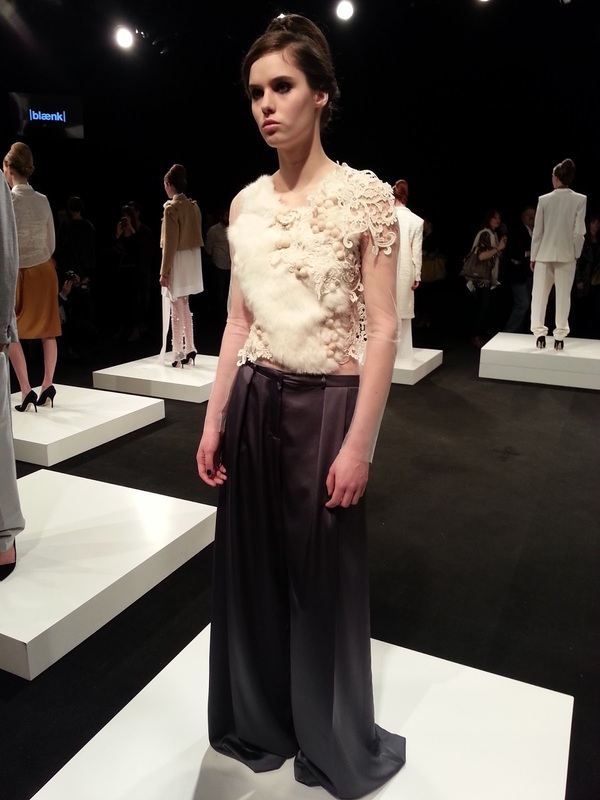 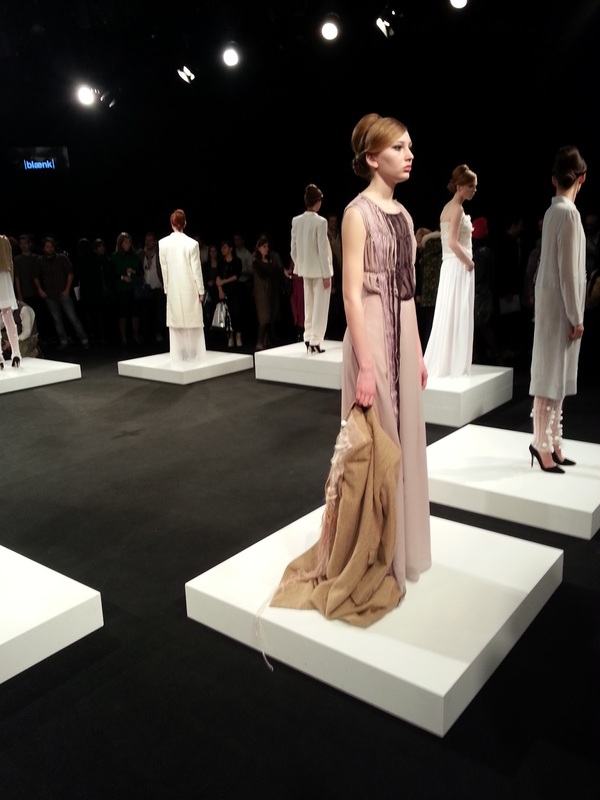 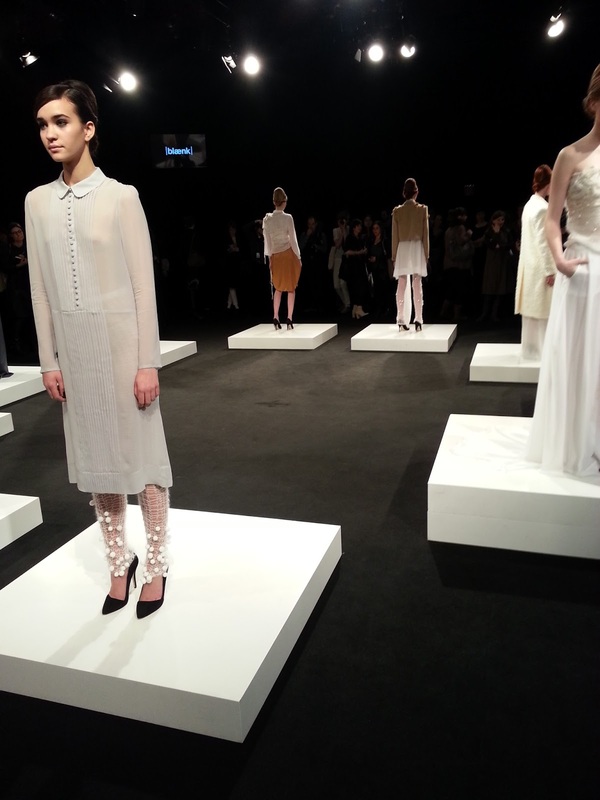 During Mercedes-Benz Fashion Week Berlin I got to see the Blaenk presentation for fall/winter 2013. 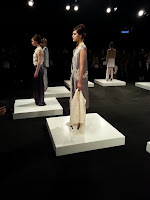 Blaenk is a collaboration between the German design duo Silke Geib and Nadine Möllenkamp that started in 2010 and won the SYFB competition by the Berlin City Council last July. 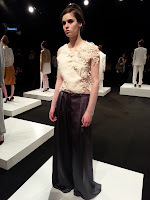 There was bird chirp instead of music which created the perfect atmosphere for the beautiful collection that was inspired by the artist Louise Bourgeois. Vintage pieces were mixed with brand new fabrics to create something new out of them. 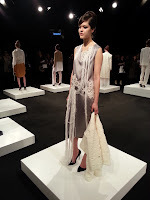 I discovered many beautiful handcrafted details which turned the pieces into something special and gave them a unique look. I like how pompons have been playfully attached to wide-meshed knit leggings and the tops and dresses that were adorned with woolstrings. 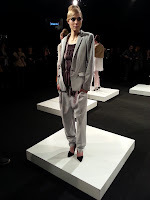 My absolute favourites were the wide suits and a light grey silk dress. 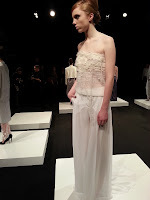 The soft colours completed the delicate looks and the mix of sheer light fabrics and thick wool was elaborate. 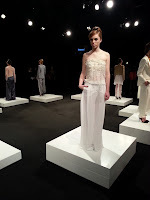 I think it's one of the best collections that were presented in Berlin last week, an opinion I share with many others judging from what I read so far in magazines and other blogs.